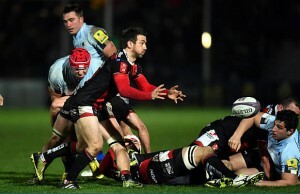 Gloucester brought an end to Wasps unbeaten run in the Aviva Premiership with a 13-10 victory at Kingsholm. 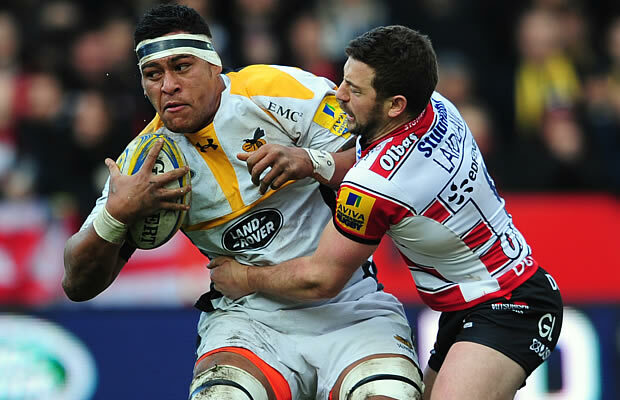 Wasps had won their last six matches in the Aviva Premiership and had been unbeaten since January. The win saw Gloucester move just five points behind their opponents in the table, with the Cherry and Whites lacking little threat, although they did take a losing bonus point. For the visitors, it was just a second defeat on the road this season, but both teams saw players succumb to injury as the game failed to find a rhythm. With the last action of the game, Jimmy Gopperth tried to kick a drop-goal to get the draw, but his effort failed to get through the posts. The hosts got off to a fine start, with Wasps punished for not releasing, allowing Greig Laidlaw to kick through the posts from short range. Moments later, Laidlaw played the ball to Richard Hibbard, who made the short distance to the line before touching down. Laidlaw added the extras. 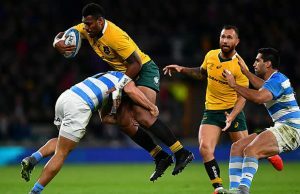 Wasps were forced into two early changes due to injury and Gopperth kicked three points with a simple penalty to put the visitors back in the contest. The rest of the first half failed to get going, and Gloucester had to be content with the narrow lead at the break. It got worse for the home side straight from the restart, with Christian Wade slaloming his way through the backline before touching down. Gopperth converted and leveled the scores, 10-all. Again, the two sets of players were making too many mistakes to allow the game to flow, but Gloucester edged back in front thanks to another Laidlaw penalty. Charlie Sharples had moved forward well with the ball, and Wasps were penalised as he reached the 22 metre line. With a quarter of the game remaining, Gloucester had the advantage with precious little time remaining for the visitors. In a game that had lacked excitement, and in a week that had seen this done before, Gopperth attempted a dramatic drop goal to level up the score, but saw his effort drag wide, meaning a hard-earned win for Gloucester. Referee : Luke Pearce (47th Premiership game). Assistant Referees: Nigel Carrick & Paul Burton.